Hard-boiled eggs are a great staple to have in your house for kids. Making easy to peel hard boiled eggs can be another story, as the shells can end up in a bunch of tiny little bits. I’ve done it too, and before you know very quickly if you missed an eggshell. Your egg is suddenly crunchy. I’ve cooked more than a few eggs and have learned a few tips for getting my eggs right every time now for snacks, dinners or especially our Easter Eggs. 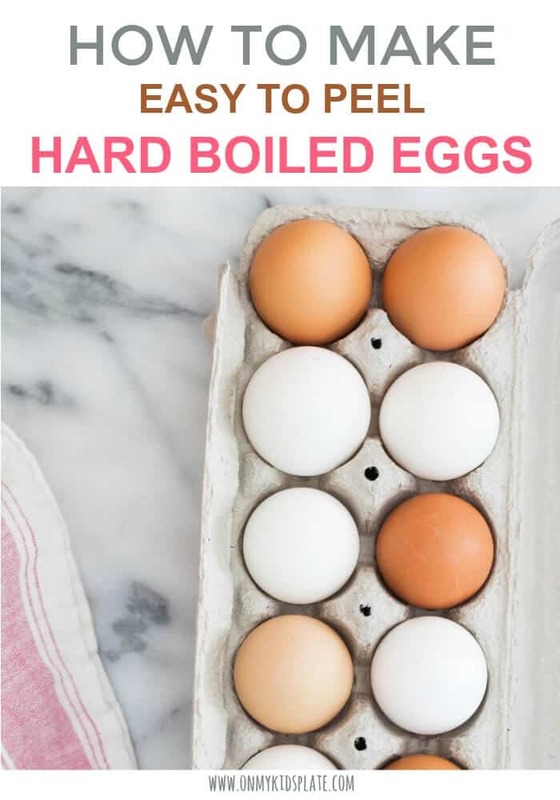 Whether you are cooking just a few hard boiled for lunch or a whole dozen, these tips will help to make the process easy! *This post may contain affiliate links that give me a small commission at no extra cost to you. For more info check my disclosure policy. So I’ve got to admit, most of the time if I’m making hard boiled eggs for with dinner, I don’t peel the eggs anymore. It’s the perfect task to keep little hands busy while you are prepping dinner, and a great way to get kids in the kitchen! My kid will eat hard boiled eggs but is still learning with them. She usually will eat the white part of the egg and dumps the yolk. I’ve noticed she will leave more and more bits of yellow attached without an issue. One of the issues many people have with hard-boiled eggs is they overcook them. The soft buttery yellow insides become kind of greenish and the white part of the egg can get rubbery. This also isn’t very appealing to kids, as well as adults. These tips will help you avoid cooking them too long by adding an ice bath a the end. Dunk them in cold ice water after cooking so they STOP cooking. While I have had a few eggs that were a little over or undercooked, I get the insides right most of the time now. The shells come off pretty easily. If you leave them in the water a minute too long, these eggs will still be ok as long as you submerge them in cool water at the end. Does Vinegar Help To Eggs Peel Easier? Vinegar helps to break down the eggshell, making them easier to peel. How Do You Boil Eggs So They Don’t Crack? Salt in the water can help prevent cracking. Vinegar in the water can also help keep the egg whites from running out of an egg while cooking if a small crack develops. How Long Can You Store Hard Boiled Eggs? Hard Boiled Eggs can be stored in the refrigerator for up to one week. Anything after that, you are risking making yourself ill.
Can You Eat Hard Boiled Eggs that Have Been Left Out? Hardboiled eggs need to be refrigerated or kept in a cooler. According to the FDA hardboiled eggs must be consumed within two hours of being refrigerated. Use cold packs for lunchboxes and coolers with ice for picnics to keep eggs cool for food safety. Hard boiled eggs that have been peeled can be stored in water or in a wet paper towel for up to a week in the fridge. You must change the water/paper towel daily or the eggs will become bad faster. Looking for another Easter treat? These Easter Egg Smoothie Popsicles are fun for kids. These tips should also help you get the perfect hard boiled Easter eggs that are ready to dye. 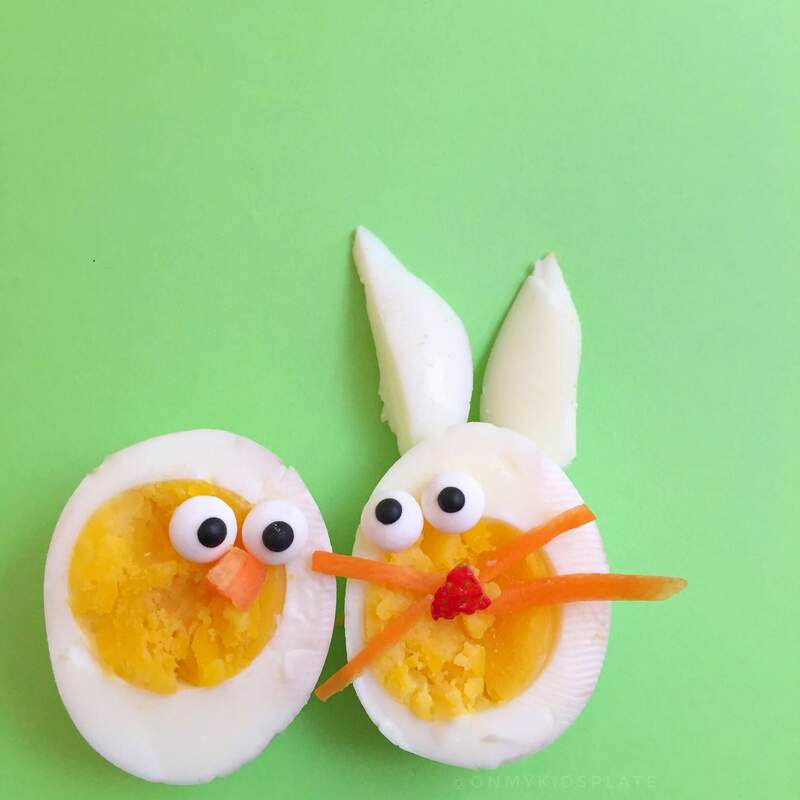 Or just a great Easter snack like these two little guys. I found this great tutorial of how to dye Easter Eggs Naturally using items in your kitchen. If you’re looking to make things simpler with a dye kit, I like this Easter Egg Dye Kit. Girl, I feel you. We usually make way more hard boiled eggs then we actually eat at Easter too. We like hardboiled eggs but something about dying them we always end up making too many. 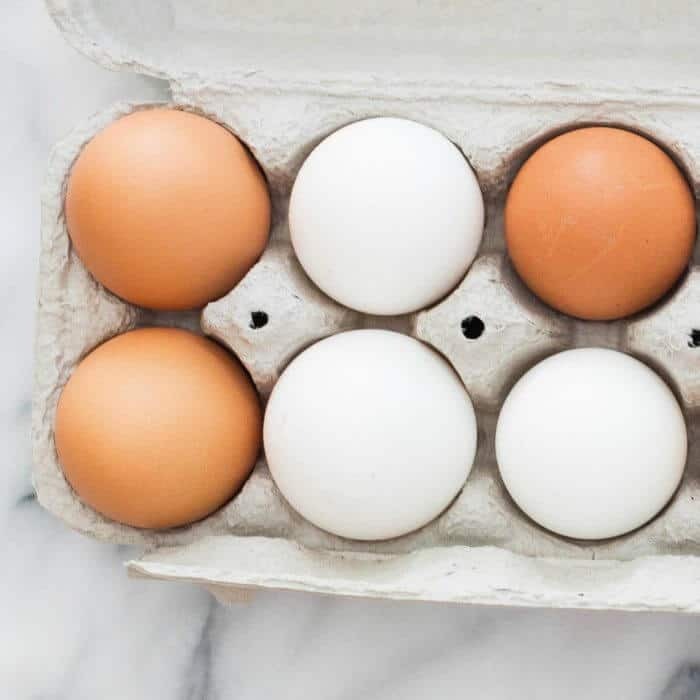 My friend Andrea over at Just Is A Four Letter Word has some really good ideas of ways to use leftover hardboiled eggs, check out her ideas if you made too many too… or are expecting to have a few extra! Here’s the recipe so you can make the perfect, easy peel hard boiled eggs too. Place eggs in a pot, and cover with cold water. Eggs should be completely covered in water. Bring water to a boil. When the water is boiling, remove pan from heat and cover. Leave eggs in hot water for 10-12 minutes. Promptly remove from water, and submerge eggs gently in cold ice water to stop the cooking. Once cool, peel eggs for a tasty snack or meal! Once you finish, these eggshells should easily peel off in only a few pieces. No crunchy bits in your hard boiled eggs is winning, right? It can take a little practice. Does your kid enjoy hardboiled eggs, or are they still working on eggs? Do your hard boiled eggs come out easy to peel when finished? Have you ever had your kids help peel the eggshells (and were they crunchy eggs?) Tell me our best egg stories down in the comments!